After you create and preview your app, you're ready to publish your app on the Amazon Appstore. 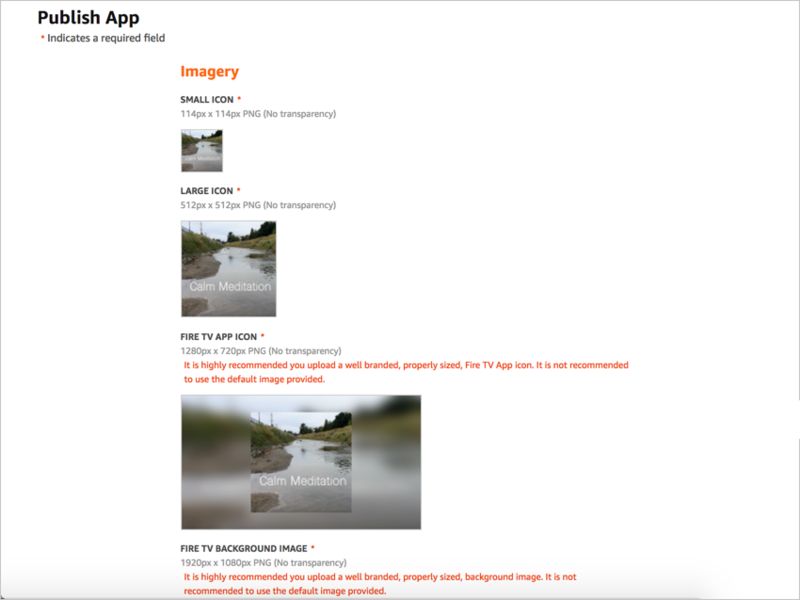 When you start the app publishing process, Amazon Creator attempts to auto-create some of the required image assets for Appstore submission, but not all image assets are available from your YouTube channel or MRSS feed. Consequently, you will need to manually create some image assets. The publication details will also require you to add descriptions and metadata about your app. Can I manage my app through the Developer Portal? If you're using YouTube as the video source, next to API Key, click Edit, and enter your YouTube API key. Click Publish next to your app. If you don't already have an Amazon Developer Account, you're prompted to create one. If so, you'll be directed into the Developer Console to create the account. Complete the information on the 1. Profile tab. Accept the agreement on the 2. App Distribution Agreement tab. On the 3. Payments tab, select No for the monetization options, since Amazon Creator doesn't provide monetization options (if you already have payments configured, that's fine — you can leave it as is). After you finish signing up for your Developer Account, you'll be redirected back into the Amazon Creator app. Amazon Creator prepares for app submission by automatically creating some of the required image assets. 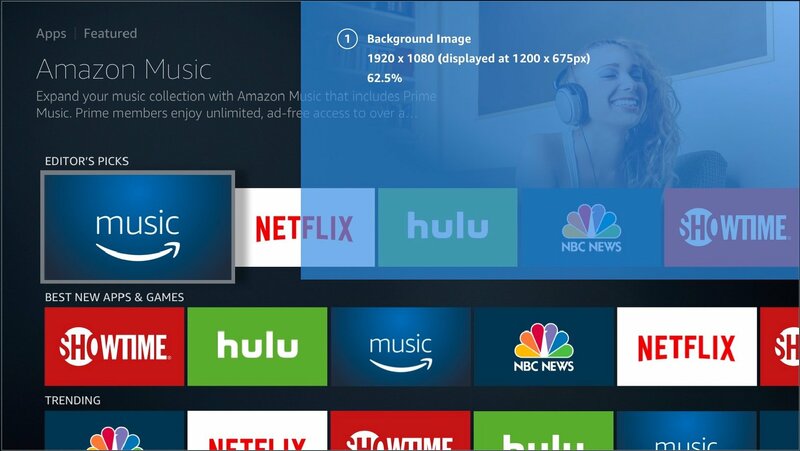 Although Amazon Creator auto-generates some of the assets (using what's available in your YouTube channel or MRSS feed), you should upload a more suitable Fire TV App Icon and Fire TV Background Image. 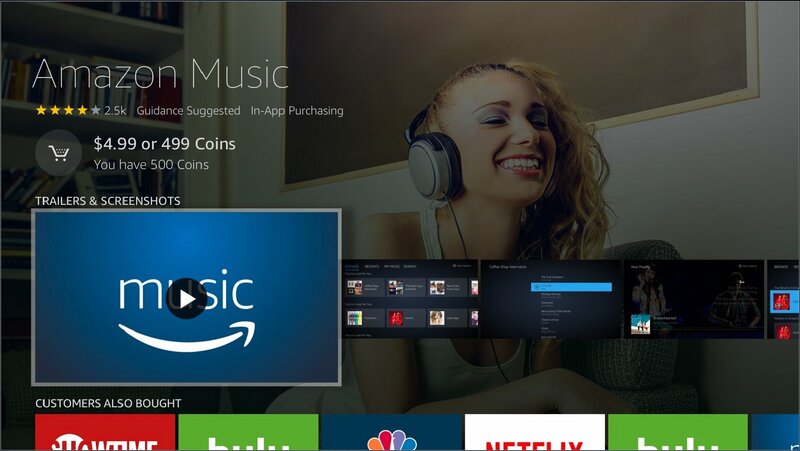 For example, the Fire TV App Icon dimensions are supposed to be 1280x720px, but because Amazon Creator has only a smaller square icon available from YouTube, it renders the required dimensions by applying a zoomed-in/blurry background with the square icon superimposed on top of it. This image is meant to be replaced. Upload the required image assets and supply the descriptions required by the Appstore. To change the images shown in the Amazon Creator interface, click the image titles and upload new ones. See the following sections for image and description details. Note: Amazon Creator has a 2MB file-size limit on uploads. To upload 1920px x 1080px screenshots, you will likely need to use JPG images (instead of PNG) and maybe some compression. After completing the required image and description sections, click Publish to Appstore to publish your app or Save (Publish Later) to save your existing work and publish at a later time. After confirming your actions, you see a "Submission Successful!" message. Note: Your app's content will dynamically update based on updates to your YouTube channel, MRSS feed, or Brightcove application. The updates are applied at each app start. 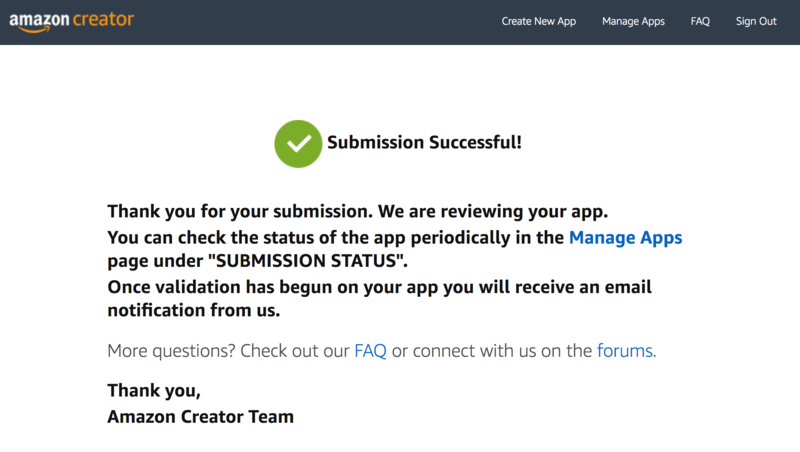 However, after you publish your app to the Appstore, to update your general app descriptions and metadata (used to promote your app in the Amazon Appstore), you will need to make edits in Amazon Creator and publish your app again. The new version will need to be approved. Your published app will be available on Fire TV in all regions where Fire TV is available (US, UK, Germany, Japan, India, and Austria). You need to prepare image assets of various sizes to promote your app in the Fire TV Appstore and the Amazon Appstore website. 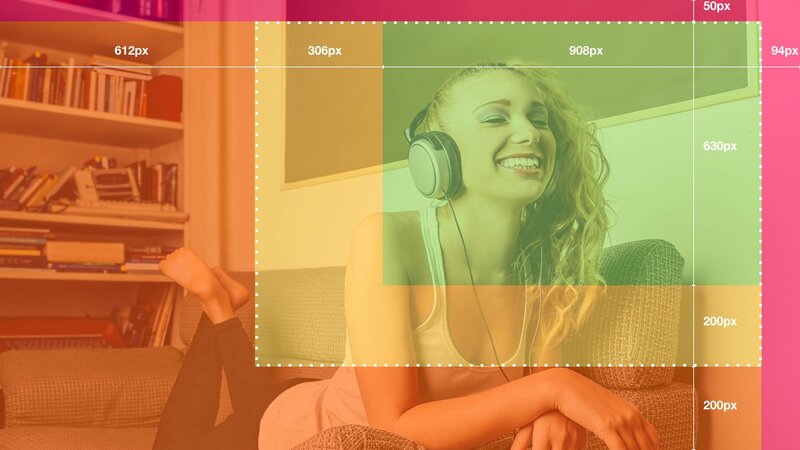 If your image isn't the right size, the image will be scaled up or down by Amazon Creator to fit the right dimensions. However, note that scaling images up makes them fuzzy, and if the aspect ratio isn't correct, the image will be stretched or squished, so use the correct dimensions. 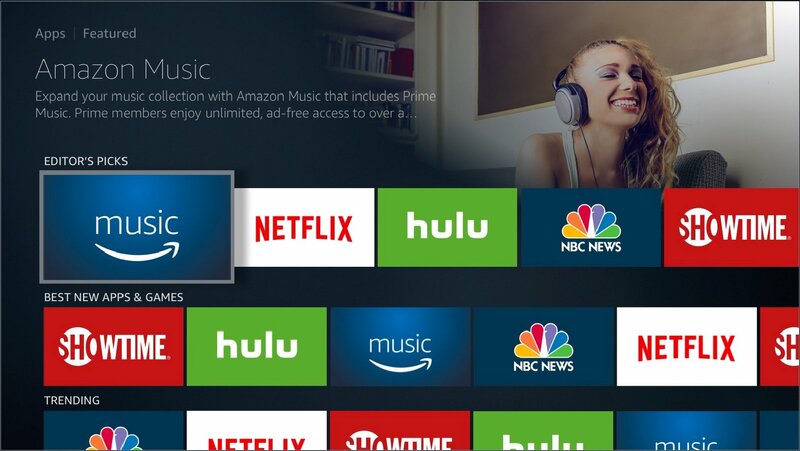 Note: Your General Icons and Fire TV App Icon should contain the same image and design, more or less. 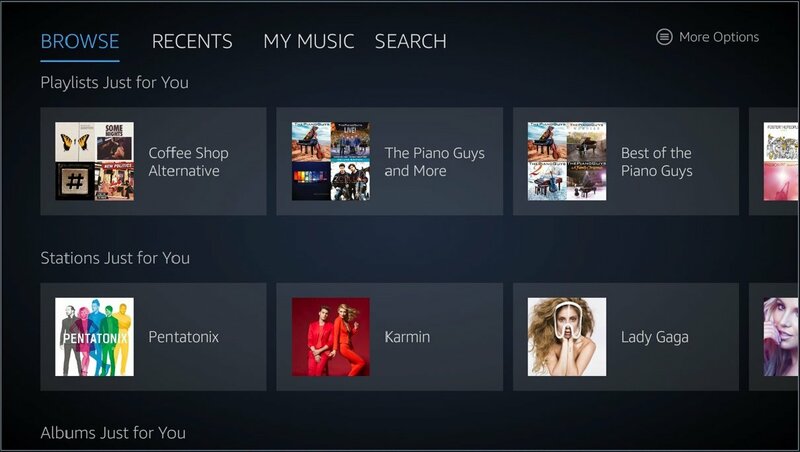 The only difference is that the Fire TV App Icon is rectangular whereas the other images (used on the Appstore website, tablets, and phones) are square. 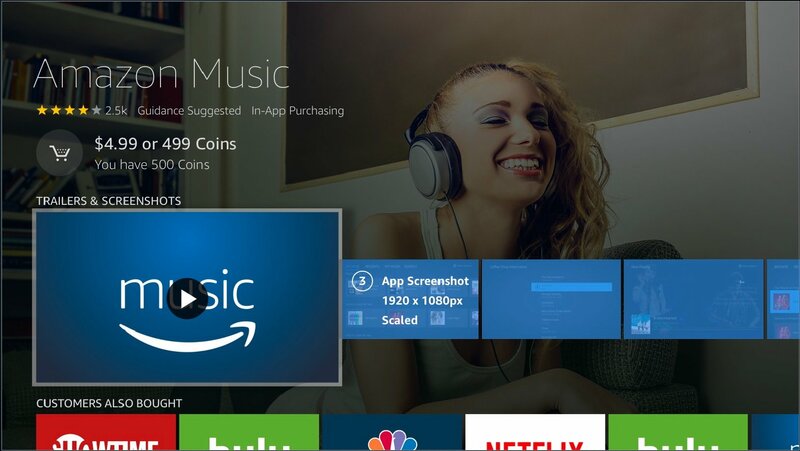 Note: Your Small Icon, Large Icon, and Fire TV App Icon should contain the same image and design, more or less. 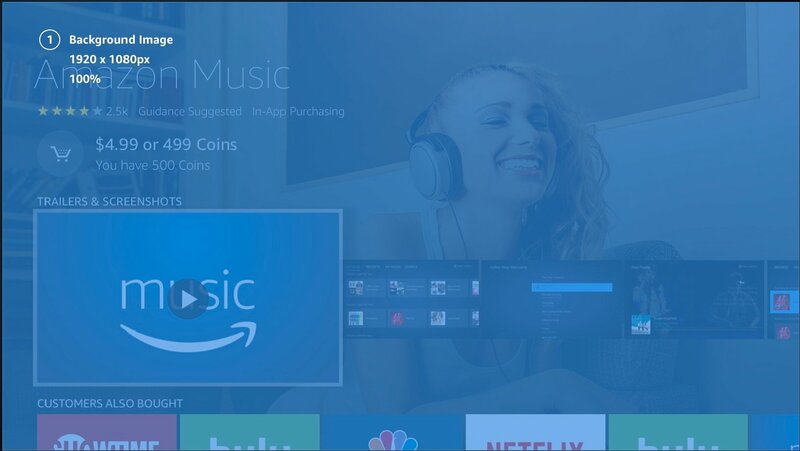 The only difference is that the Fire TV App Icon is rectangular whereas the other images (used on the Appstore website) are square. Various descriptions are required for your app in the Appstore. See the following details about each description requirement. A short description of your app that is appropriate for display on a TV or tablet device. The maximum length is 1,200 characters, but consider using a shorter description. (Paragraph breaks get stripped out.) The Fire TV UI displays displays only the first 200 characters, then shows an ellipses to read more. Optimize your short description to include the most important information up front. A lengthier description of your app that is appropriate for use on the Amazon Appstore website. The maximum length is 4,000 characters. The long description appears in the Appstore website only, not on tablet or Fire TV devices. Note that all text input fields (including the short description and other fields) are plain text only. Do not enter HTML markup (it will fail testing and delay your app's publishing). Three to five key features of your app, one feature per line. Press Return after each feature. Each line will automatically be converted to a bulleted list item when you press Return. Comma-separated search terms that will help customers find your app in the Amazon Appstore. These keywords can be helpful in surfacing your app when users search Fire TV, either by text or with voice. All apps published to the Amazon Appstore must adhere to the Content Guidelines that are described in Amazon Appstore Content Policy Requirements. If Amazon determines that an app contains, facilitates, or promotes content that is prohibited by these guidelines, Amazon will reject the app submission or suspend further distribution of your app and notify you at the email address associated with your developer account. Warning: Most apps that fail the Appstore review process fail due to content policy violation. You must own the rights to the content in your app. You cannot create apps from YouTube channels that you do not own. If you do not own the content, your app will fail the Appstore evaluation process. Even approved apps can be retroactively suppressed. In your app's details, next to "Submission Status," click the status message (such as "In Progress"). The details indicate where your app is in the submission process. In Progress – Your app is being reviewed. Rejected – A possible reason could be Content Policy. Check the email from the Appstore. Pending – Check your email for next steps. Complete – Your app is live. You can also publish a new version to the Appstore if desired. Although it's technically possible, don't try to update your app's metadata (images, description, and so on) from the Amazon Developer Portal at https://developer.amazon.com. Any updates you make in the Developer Portal DO NOT flow back into Amazon Creator. If you modify your app details (for example, updating descriptions, images, or other metadata) from within the Developer Portal, your app in Amazon Creator will not reflect those changes. Amazon Creator was designed for you to publish your app to the Appstore entirely from the Amazon Creator site, without ever logging in to the Developer Portal. Although you have an Amazon developer account (which you're prompted to create when you publish your app), the account's purpose is to allow Amazon Creator to interact with the Developer Portal site. Getting your app into the Appstore is just the first step to developing a successful app. For your app to be widely downloaded and viewed, you'll need to promote your app as much as possible.